This luxurious silk will cheer everyone up, especially you, day or evening. 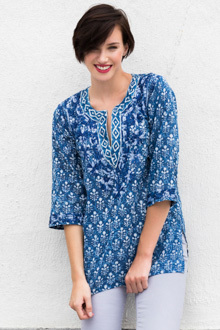 The vibrant colors and subtle embroidery make this tunic very special. 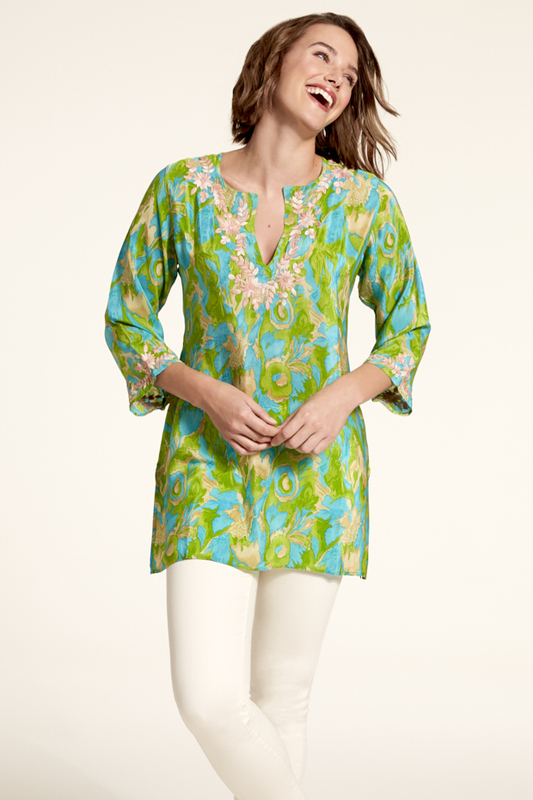 This luxurious silk will cheer everyone up, especially you, day or evening. 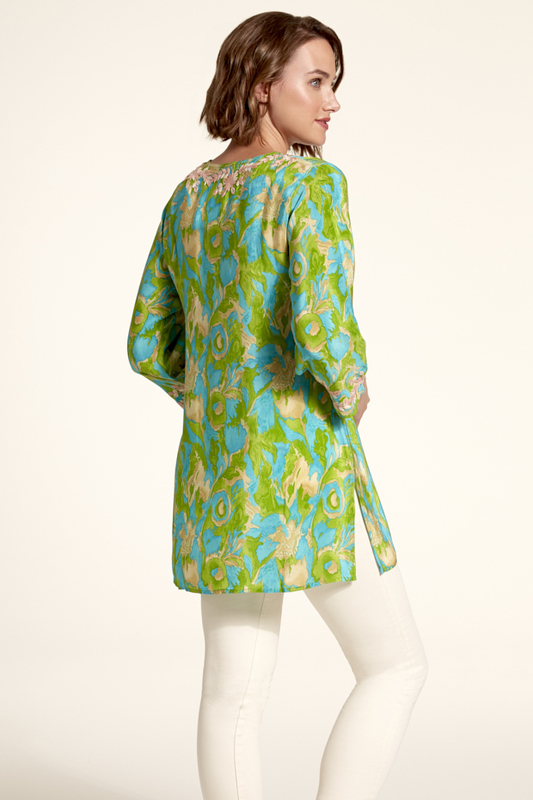 Â The vibrant colors and subtle embroidery make this tunic very special.